Keep your golf gear clean in style with the Star Wars Darth Vader Golf Towel! This towel features a fun Darth Vader comic-style print, and comes with a corner grommet so you can easily hang it on your golf bag. Keep your golf gear clean in style with the Star Wars Darth Vader Golf Towel! 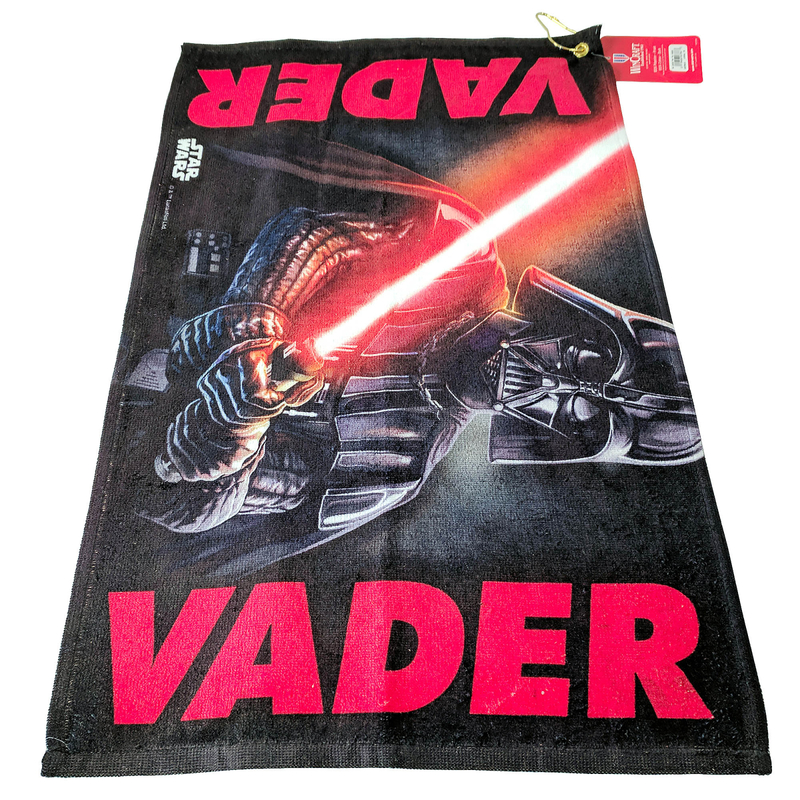 This terry cloth towel features a fun Darth Vader comic-style print, and also comes with a corner grommet so you can easily hang it from your golf bag. The dimensions of the towel are 16" x 25", making it a perfect size for taking with you out on the green. You'll be turning heads at your next tee time with this officially licensed Star Wars themed towel!